Castagna turns 20 this month, and we can’t help but reflect on how far we’ve come since our opening in 1999. 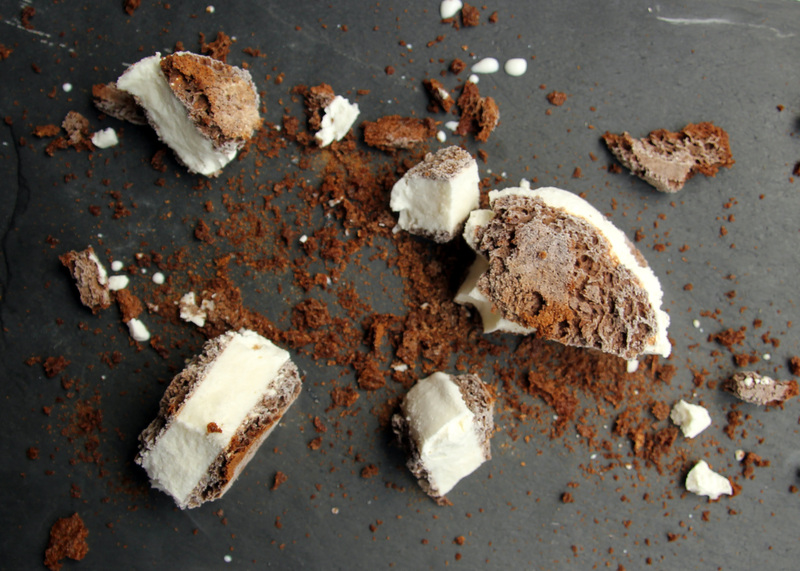 Rather than celebrating with a throw-back to the past, we’re looking ahead to the future with the launch of a new Explorative Dinner Series on April 24th. These bold, roughly five-course dinners will be offered Wednesdays and Thursdays, with themes rotating every two months. First up: Surf & Turf. Themes will range from “Green” in early summer to “Birds” in fall, channeling the spirit of experimentation, seasonality, and spontaneity. 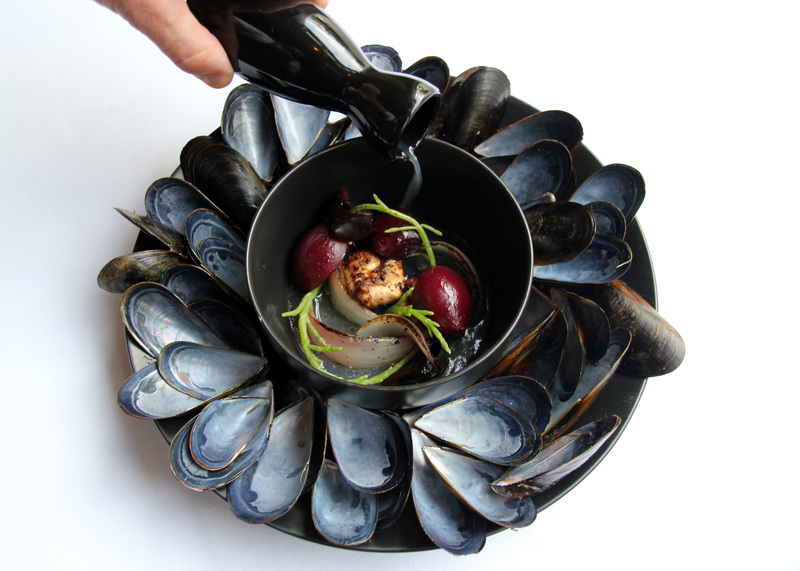 Surf & Turf promises beets in chicken fat and mussel jus with red onion charcoal (pictured above), squid ink brioche with roasted chicken juices, and molasses and dulse ice cream (pictured below). Read Portland Monthly food critic Karen Brooks’ great write-up on our 20th anniversary and the launch of this new dinner series here. Each Explorative Dinner will be approximately $75, with the chef’s tasting menu and seven-course menu still offered Wednesday through Saturday. Thank you to all who have supported us over the past 20 years. We couldn’t be more excited for this next chapter, and we hope you’ll join us in celebrating. Reservations are available at the link below. Chef Justin is a nominee for the James Beard Award for Best Chef Northwest 2019. 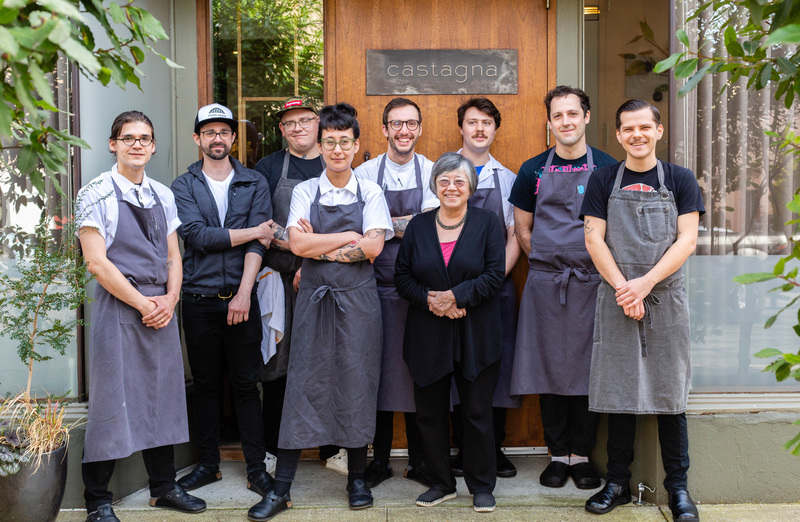 Huge congratulations to Justin and the entire Castagna team! Justin will travel to Chicago next month for the Awards Gala on May 6th. We wish him luck!